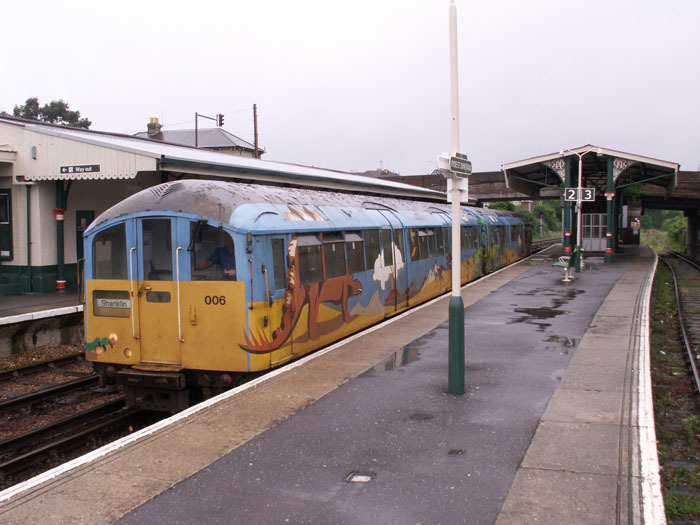 The Isle of Wight once boasted 54 miles of railway, operated post-Grouping by the Southern Railway, connecting all the major coastal towns of the island with Newport as the hub of the network. 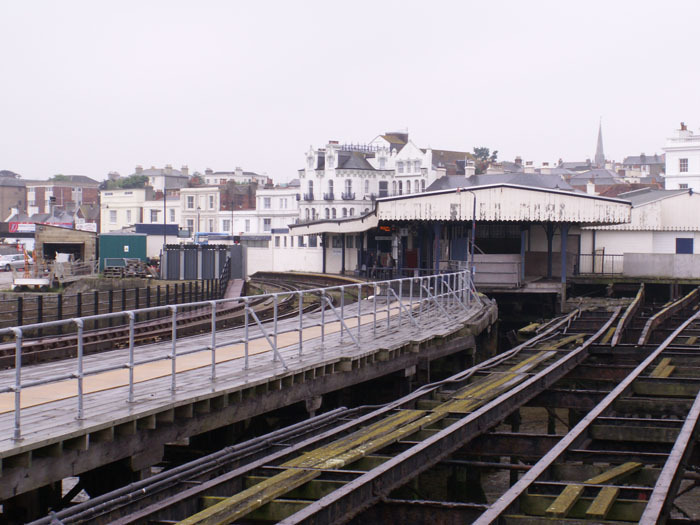 However, a succession of closures between 1952 and 1966 saw the system decimated with all that remains today being the line from Ryde Pier station to Shanklin (along with Wootton to Smallbrook operated by the Isle of Wight Steam Railway). 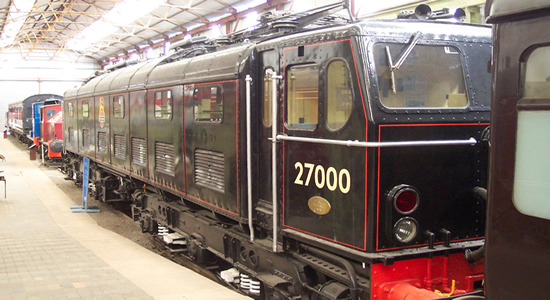 There is still much to recommend exploring the system however, not least the somewhat unique motive power provided by ex-London Underground stock: a practice that has been in operation since 1967 through British Rail seeking a swift solution to replacing steam on the line being tempered by the geographical features of the route making it unsuitable for mainline standard stock. 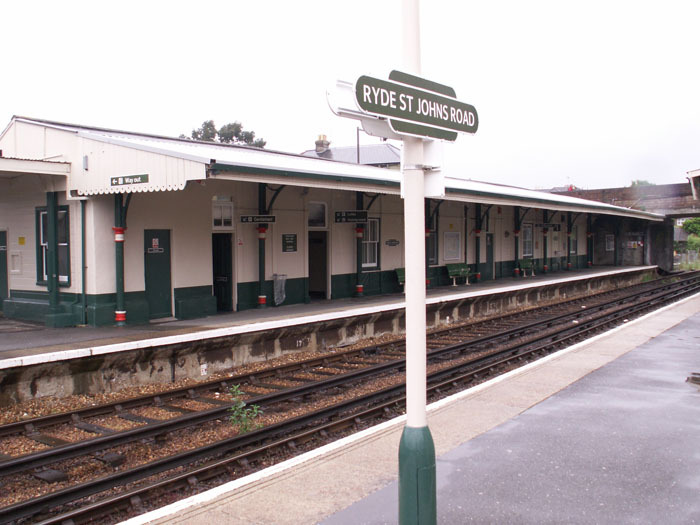 A fascinating site to visit, Ryde Pier station opened on July 20th 1880 and has since undergone both expansion - in 1933 under the Southern Railway, and contraction in 1966/7 in preparation for electrification. 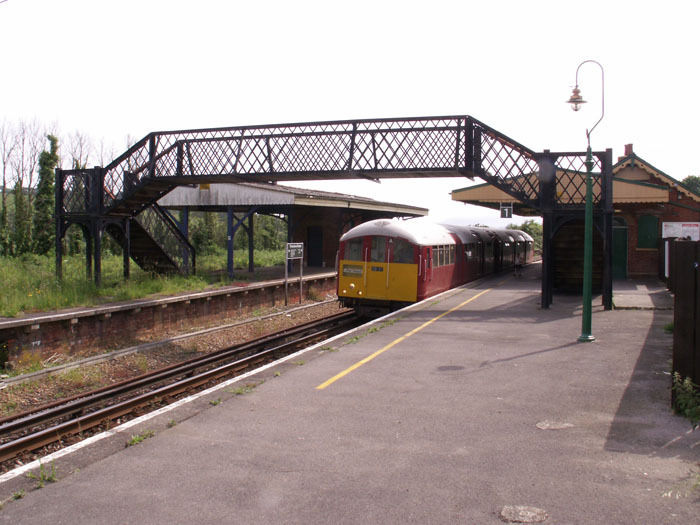 he centre line of the island platform seen here is actually the platform edge with the line to the right once being double-tracked: the canopy which appears offset, therefore, once adequately served both 'halves' of the platform. 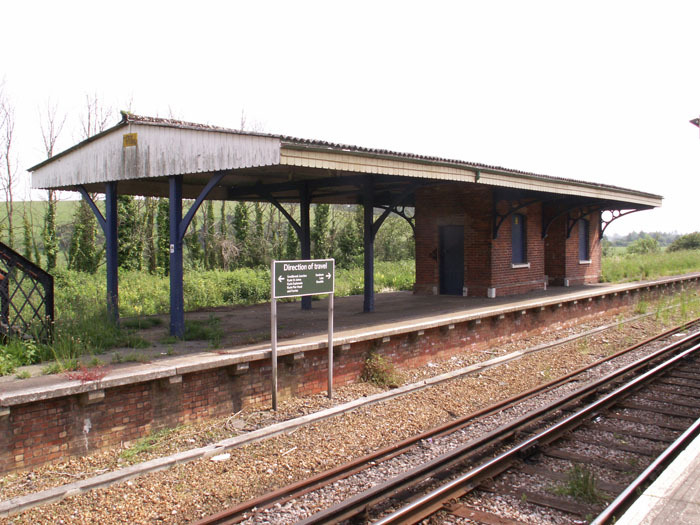 Here we see platform 2 and the buffer stops as passengers board on platform 1. 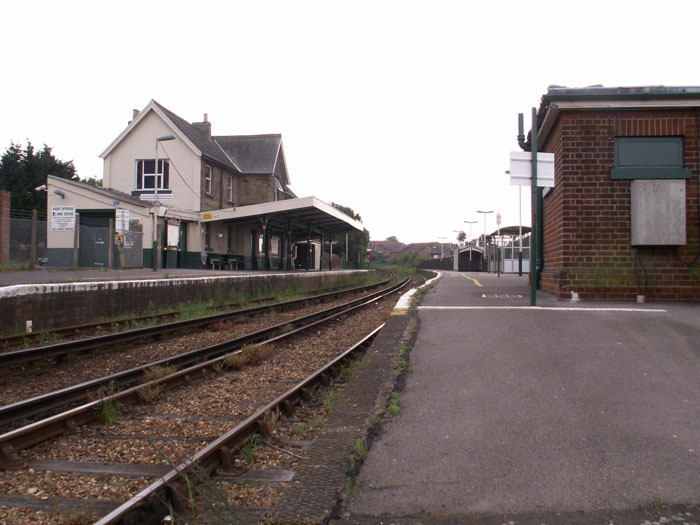 To the left also once existed a line which was removed in 1966. The somewhat precarious nature of the site is seen here: looking through the sleepers to the sea below! 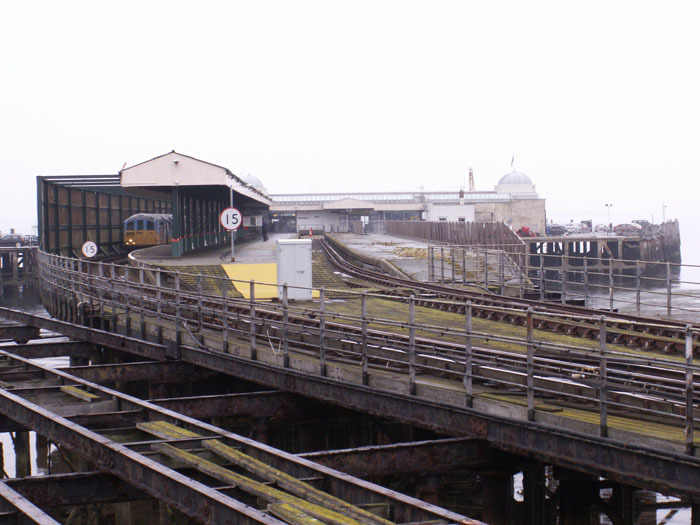 This view from the pier, shows both the station, opened April 5th 1880 and, to the right, the remains of the pier tramway which operated along the pier until 1969 and was subsequently dismantled. One of the reasons for the London Underground stock's usage on the line can be seen here, the tight curve ahead - the other main factor being a low tunnel just around the bend. 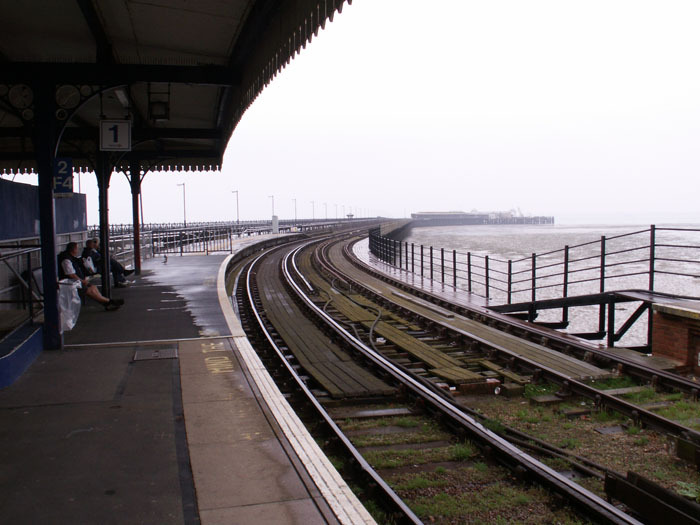 Looking back along the pier towards Ryde Pier Station. 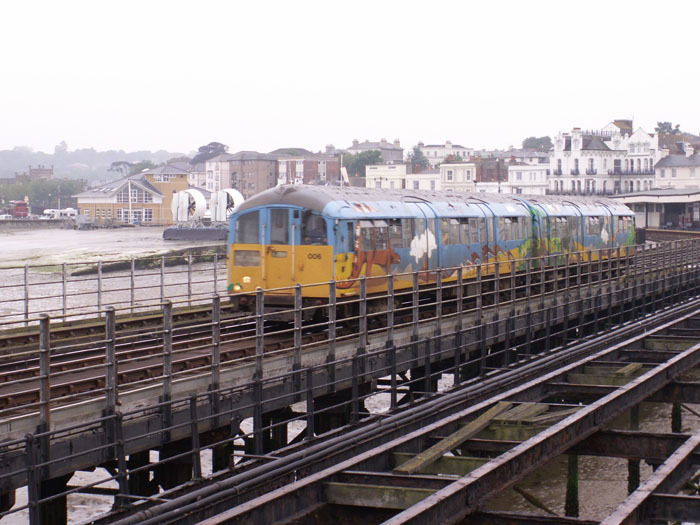 483006 in 'Dinosaur' livery is seen here heading from Ryde Esplanade station to Ryde Pier station on a day of appalling weather! 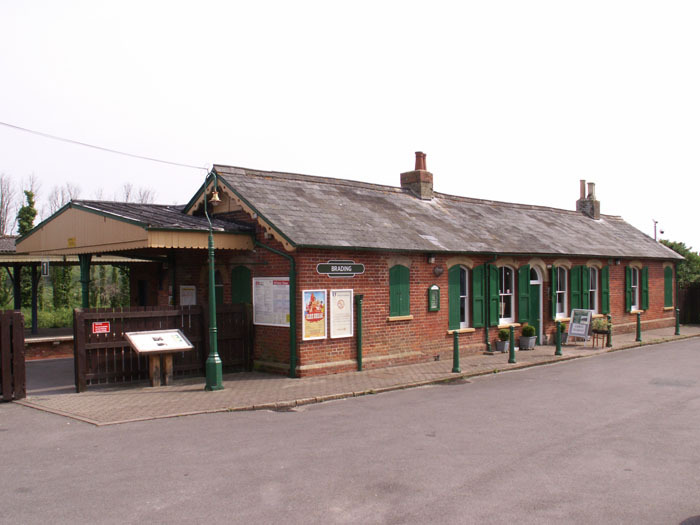 Originally the Isle of Wight Railway's northern terminus, the station opened on 23rd August 1864 and was expanded in 1866 to accommodate the opening of the Ventnor - Shanklin line. 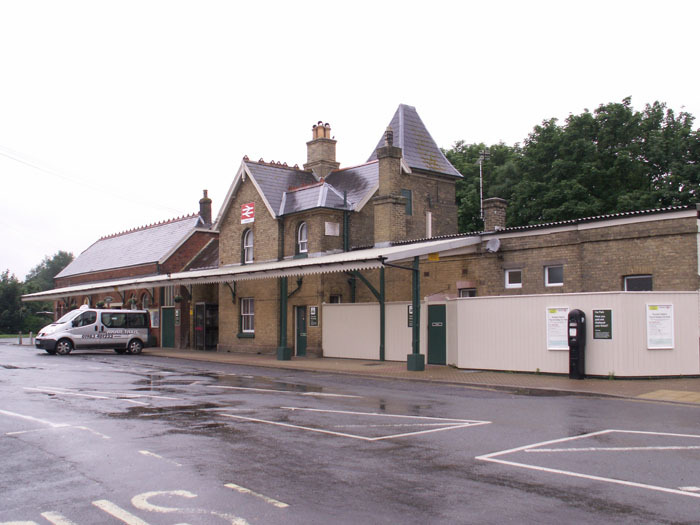 It now also houses the Ryde Train Care Depot. 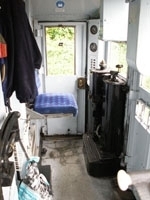 The reverse view from the footbridge shos the signal box, the only one on the line, and the lines fanning out into the Train Care Department. 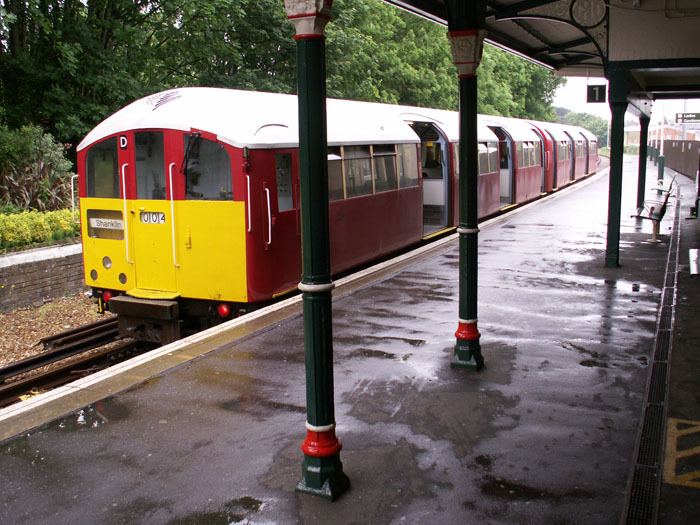 483006 in 'Dinosaur' livery pauses at a deserted station in pouring rain on a Shanklin working. 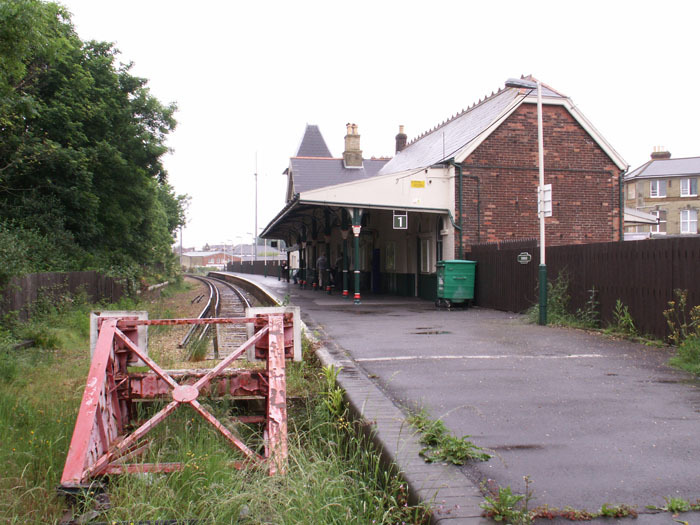 Platform 1 seen here houses the main station building and ticket office. 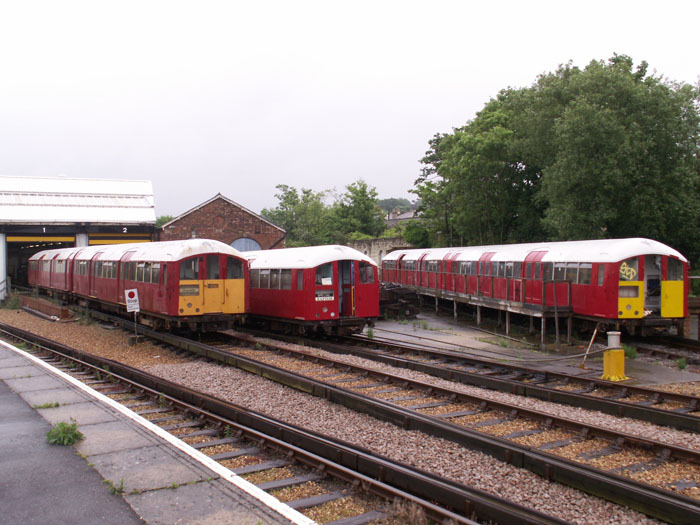 483009 and two other units at Ryde Train Care Depot in retro London Underground livery. 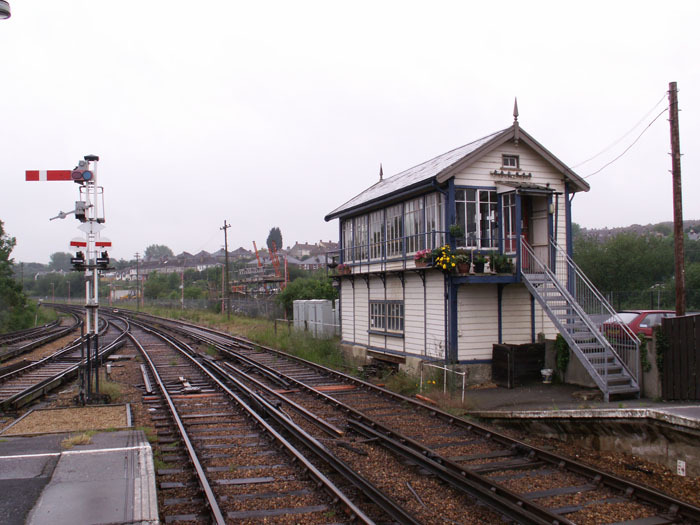 Ryde St John's Signal box was moved here from Waterloo in 1926 and is the only box on the line today, hence it has become known as the 'Island Line Signaling Centre'! 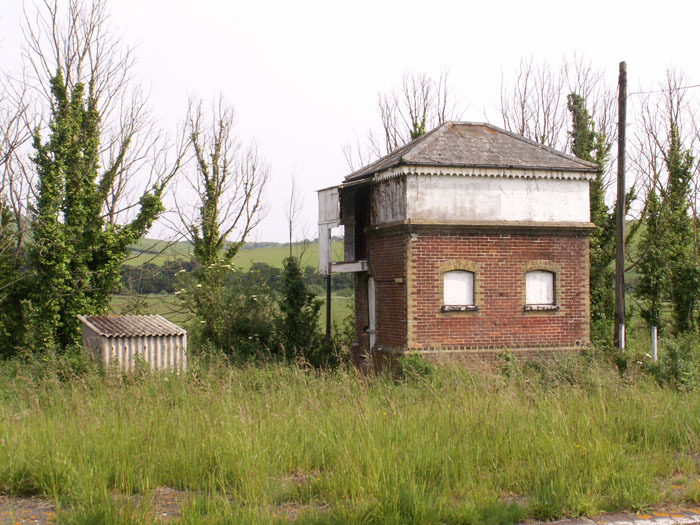 Opened 23rd August 1864 Brading station has been an un staffed halt since 1969 with the building seen here later becoming a community centre. 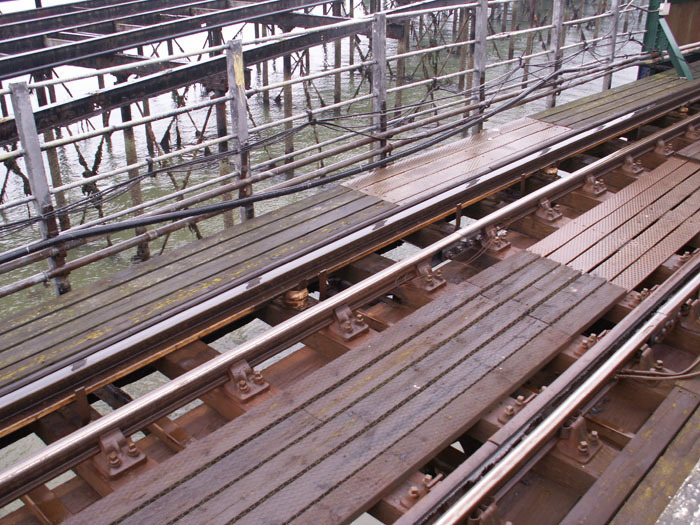 Added in 1870, the down platform is seen here looking the worse for wear and is, in fact, an island platform with the far side long-since disused. 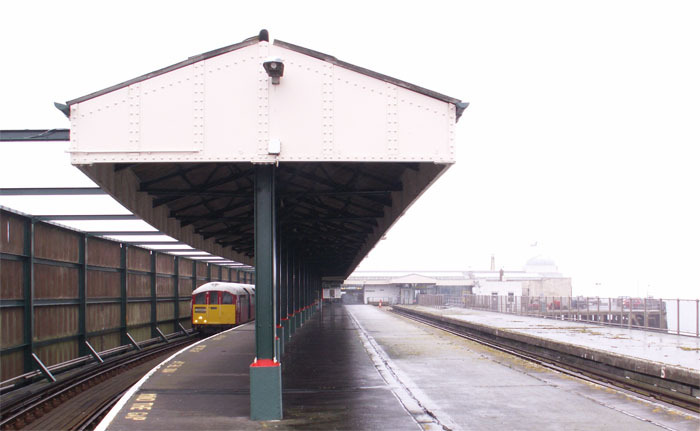 A Pier Head working pauses at the station under the footbridge added in 1870 to provide access to the then-new down platform. 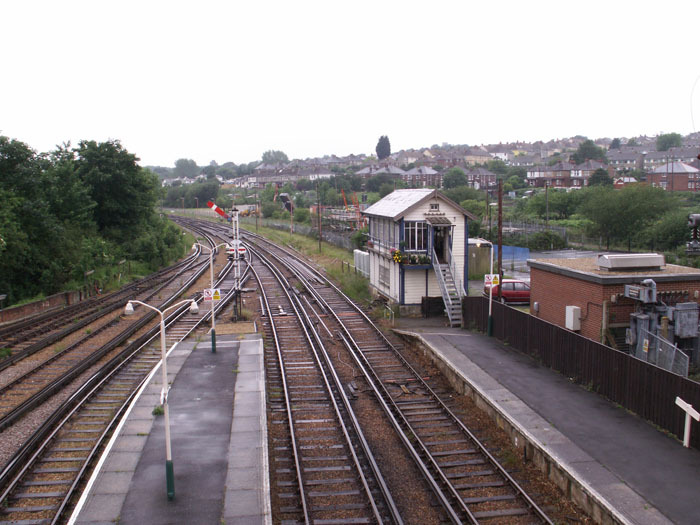 The only box apart from Ryde St Johns still standing on the railway but long out of use on the disused sidings and Bembridge Branch line. 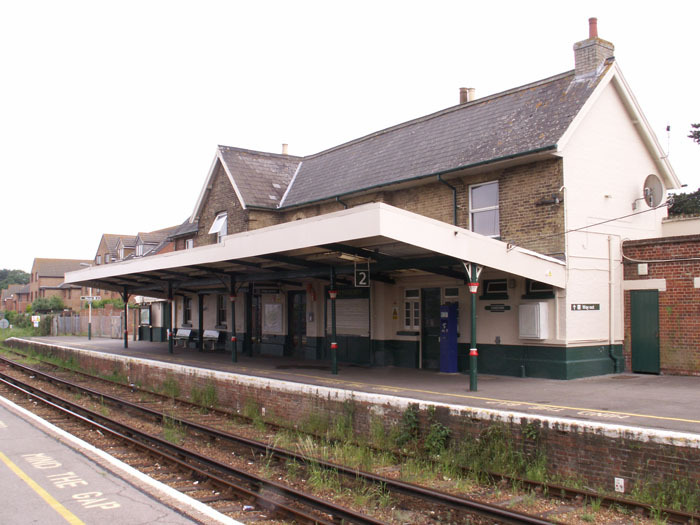 Opened 23rd August 1864 as a single wooden platform, the station was extended in 1866 with the Isle of Wight Railway headquarters being stationed here from 1869. 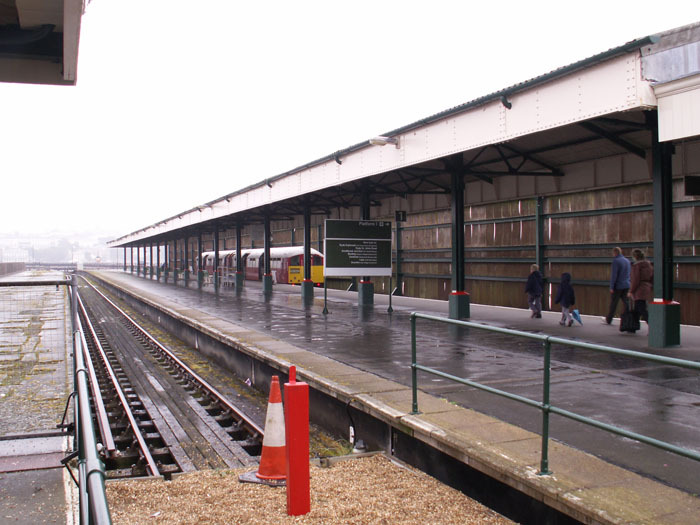 Platform 1 is seen here. 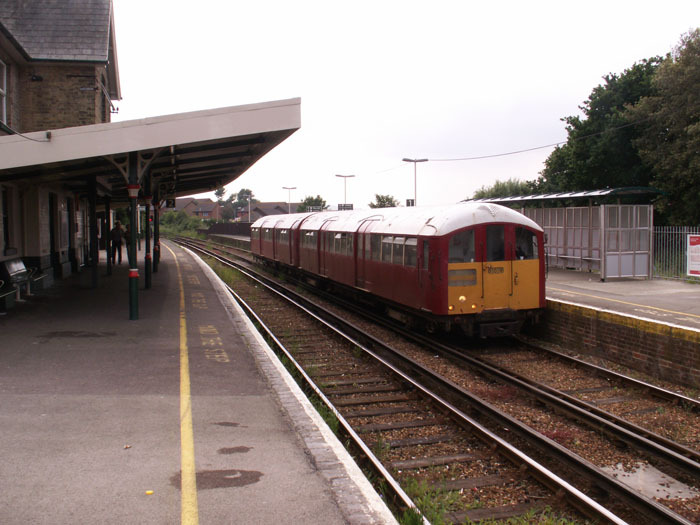 483009 is seen at platform 2 on a Shanklin service with an uncharacteristic 'bus shelter' for passenger comfort. 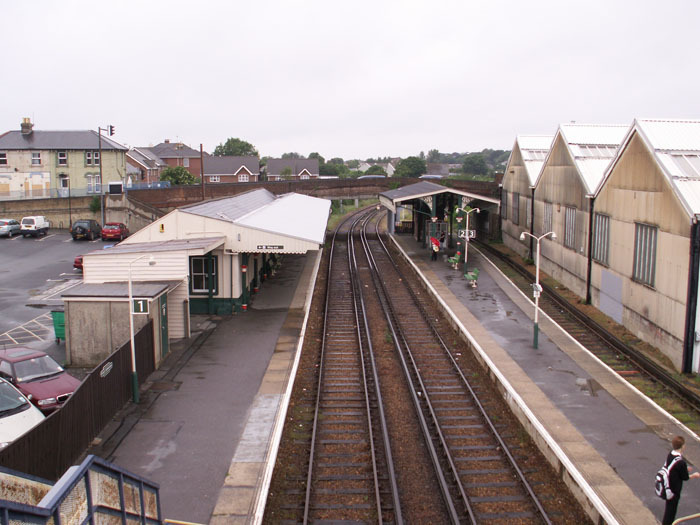 The view from the end of platform 2 looking towards Ryde with the entrance to the subway, which replaced an earlier footbridge, visible at the other end of the platform. 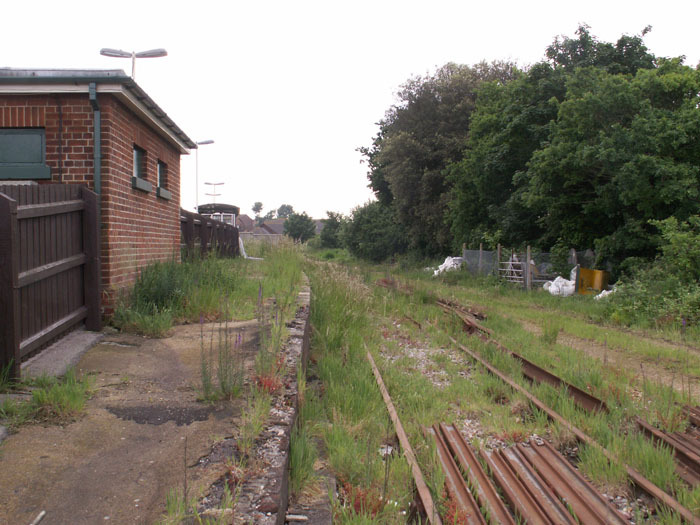 To the right of the previous shot we see the remnants of the Newport line which closed in 1956 which is retained as a siding at the station today. A late-comer to the railway, opening 9th July 1987, the single wooden platform and bus shelter of Lake Station is hardly worthy of much comment. The view towards Shanklin from Lake station. 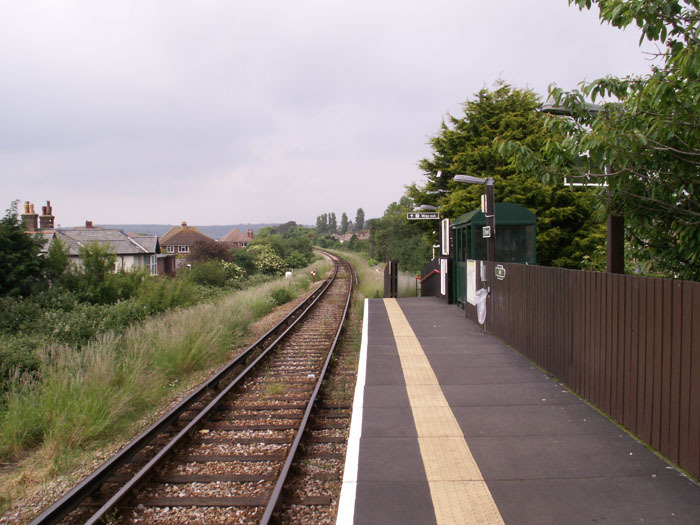 The current end of the line, Shanklin station opened 23rd August 1864 as a temporary terminus to the line until 1866 when the remaining route through to Ventnor was opened. 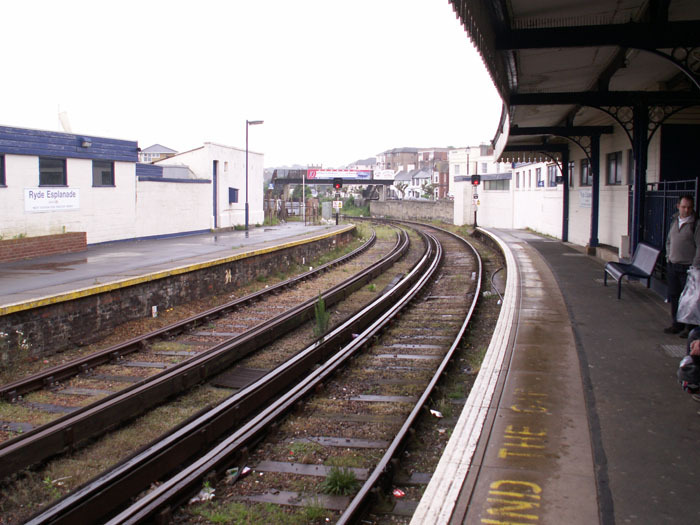 With track singled and the Ventnor line closed, the buffer stop here represents the southern end of the railway: the disused up platform can be seen to the left which originally was accessed via a subway. 483004 is seen here awaiting a return trip to Pier Head. 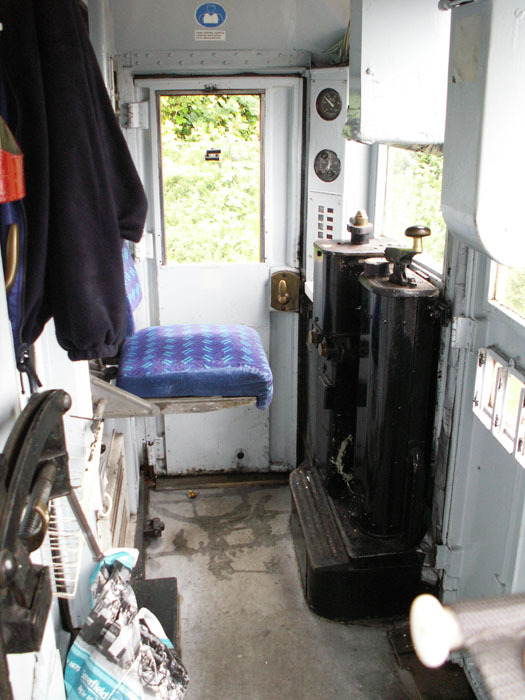 The rather sparse working environment seen here inside the driver's compartment of 483004.